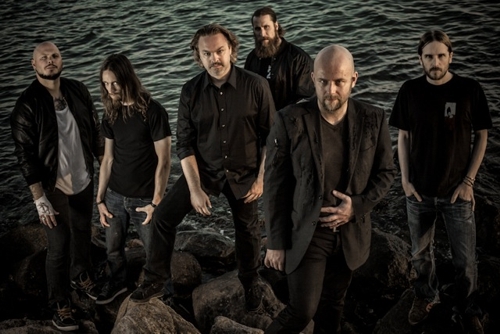 On March 12th, 2013, Swedish melodic metal maestros SOILWORK will kick-off their world tour in North America – their first time headlining in this territory in almost three years. The 54-show trek through the U.S. and Canada will feature support from Jeff Loomis, Blackguard, The Browning, and Wretched. General admission tickets are available at EnterTheVault.com as of October 30th and will go on sale through all normal ticketing systems on November 17th. VIP Meet & Greet packages (which include early entry plus a shirt of choice from the band’s merchandise) are available only through Enterthevault.com. SOILWORK have been toiling away and burning many a midnight oil in the studio with producer Jens Bogren (OPETH, AMON AMARTH, BLOODBATH) recording The Living Infinite, the follow-up to their 2010 release The Panic Broadcast. The Soilworkers are planning not just one CD of amazing music, but two: that’s right, The Living Infinite will be a double album and will mark the recording debut of long-time touring guitarist David Andersson (NIGHT FLIGHT ORCHESTRA).